What Are My Rights As A Driver In A DUI Investigation? What Happens After Someone Is Arrested On DUI Charges? I've Been Charged with DUI. Now What? Do You Ever Recommend Pre-Trial Counseling To Your DUI Clients? What Happens To My Driver’s License After I Have Been Charged With A DUI? If it's your 2nd offense, you need a specialist. How Does It Impact A DUI Case If Someone Is Under The Influence Of Drugs? Florida DUI Procedures-Why DUI Cases Are Really Two Cases in One! Contact Us for a Free Strategy Session! Financing Options Available! Marijuana Lab Results Excluded Due to Knowledge of Pharmacokinetics. "Pharmacokinetics" is the study of what happens to a drug when your body metabolizes it. Usually, the process of metabolizing chemicals makes them less dangerous before they are excreted, or pushed out of the body. When you smoke marijuana, there is a complicated process in which your body converts the THC into other chemicals. When the lab report only shows the other chemicals, or "metabolites," then we can sometimes get the evidence excluded from trial. That is what happened in this case, and it helps our client a lot. Known nationwide as a leading DUI defense lawyer, Tom has tried over 350 jury trials, including numerous death penalty cases. He now limits his criminal practice to DUI defense. His civil practice is devoted to getting fair compensation for the victims of negligence. Tom has attained multiple verdicts and settlements in excess of $1 million, and is a Life Member of the Multi-Million Dollar Advocates Forum. 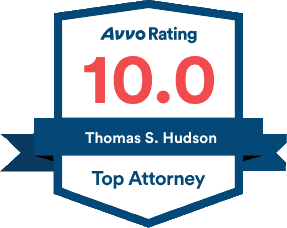 In 2008, Tom Hudson passed the National Board Certification Test for DUI Attorneys in Honolulu, Hawaii. NOTE: The State of Florida does not yet recognize DUI defense as a Specialty. 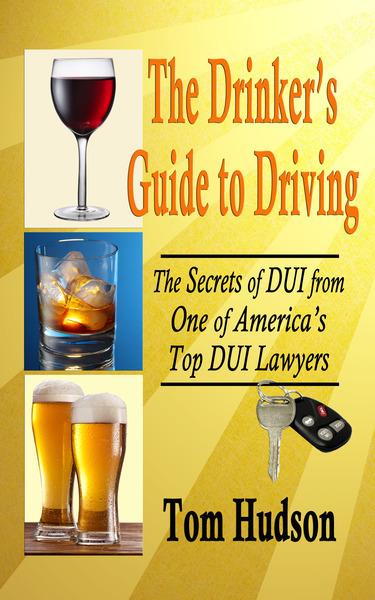 The Drinker’s Guide to Driving by Tom Hudson is on sale now at Amazon.com, and all eBook outlets! Tom Hudson passed the National Board Certification Examination (written and oral) in Honolulu in 2008, and was recertified in 2013. He was one of the first 50 lawyers granted national board certification in DUI Defense, and is nationally recognized as an authority in DUI law. Board Certification as a DUI Specialist by the National College for DUI Defense. Formal NHTSA Certification as an Instructor of the Standardized Field Sobriety Tests given by police in DUI cases. Formal training as a NHTSA Drug Recognition Evaluator. ("Drug Evaluation & Classification") Formal training to operate the Intoxilyzer 8000, Florida's official breath test instrument. Extensive experience in teaching other attorneys how to handle DUI cases. Hundreds of jury trials both as defense lawyer and as prosecutor. Florida's State Delegate to the National College for DUI Defense.